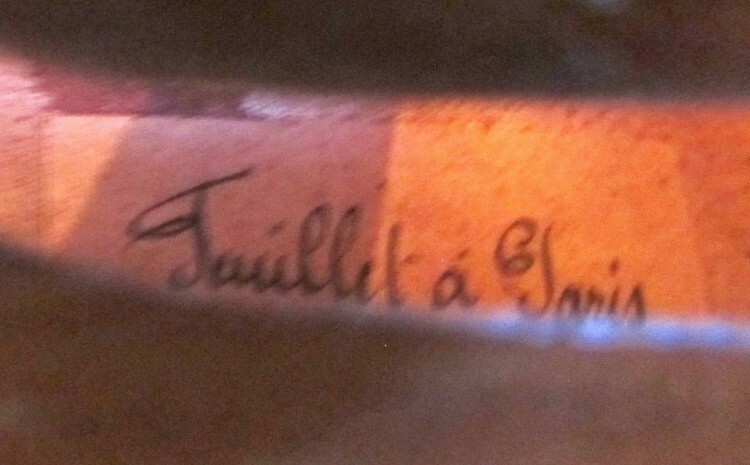 Early twentieth century French violin, labelled Jeuillet a Paris or perhaps Savillet a Paris. 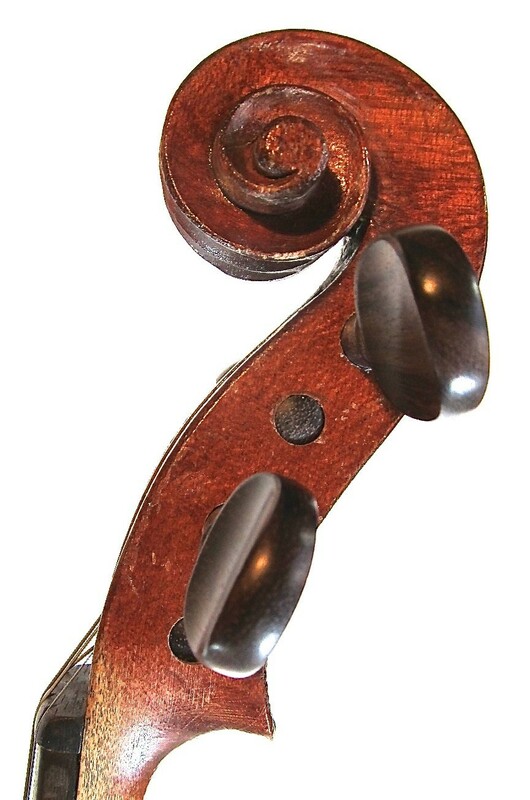 Typical Mirecourt instrument of the Medio Fino or Compagnon type, fairly plain with scratched-on purfling. 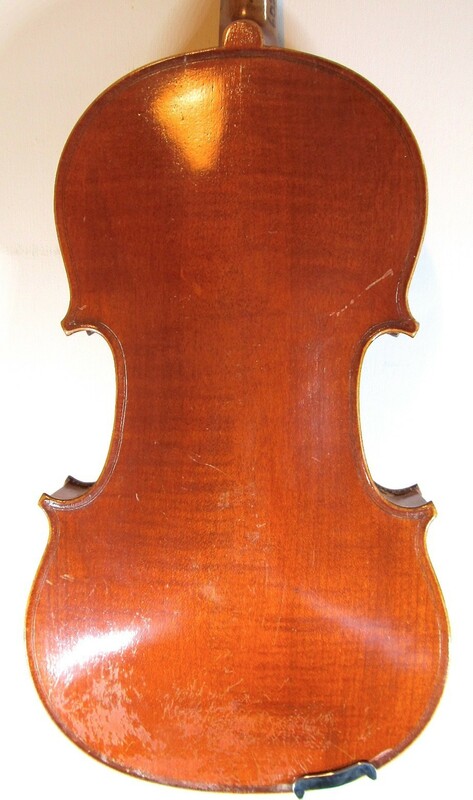 The spruce top has grain of medium width, and the back has light flame. 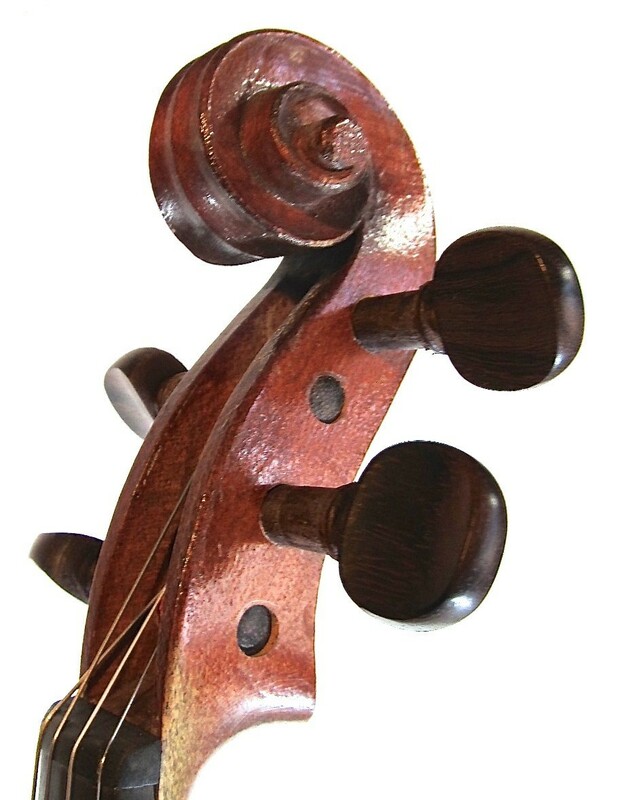 Like so many of these instruments, it has a great sound - deep and strong with a hint of darkness. 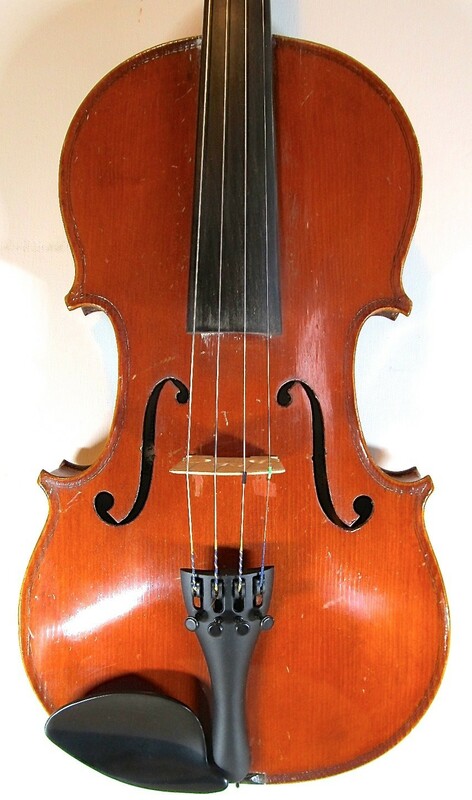 It will make someone a great trad fiddle. Condition: Knocks and scratches but no cracks, repairs or other issues. Nice clean instrument.